We Grow Memories... Lancaster County’s Farm to Fork Wedding Venue. ountry Barn’s two unique historic barns are completely restored with modern amenities and climate control, but still have rustic charm. Beautiful outdoor ceremony sites available on the Country Barn grounds. arm to Fork - every meal is fresh from the farm to fork. We are proud to serve our own potatoes, vegetables and all natural beef from ourr real working 82 acre farm. • We offer exclusive packages and unique options to customize your special day. Named in “10 Top Wedding Venues near Philadelphia” by Here Comes the Guide in 2016. Voted Wedding Wire’s ‘Top 20 Wedding Venues for Foodies’ in 2015. New Designer Gowns for Proms & Weddings The Knot Best of Weddings WINNER 3 Years in a Row! cousins may not marry under Pennsylvania law. A marriage license becomes valid on the third day following application or the next business day if the third day falls on a weekend or holiday. The license is valid for 60 days from the third day following the date of application. The wedding ceremony need not be performed in the county in which the license was issued. However, an out-ofstate marriage license cannot be used in Pennsylvania, nor can a Pennsylvania marriage license be used in another state. Details, courthouse locations, and other information for separate counties in the area are listed below. All courthouse office hours listed are for Mondays through Fridays, unless otherwise noted. Details are available on each county’s government website, by calling the phone number for the Register of Wills/Clerk of Orphans’ Court Office, or in person Mondays through Fridays during regular business hours, at least one half hour before closing time. Weddings are steeped in tradition, and for good reason: Traditions provide familiarity and structure and give us a sense of comfort. But, when weddings tend to be more similar to each other than different, how do you plan an event that stands apart from the rest and is uniquely “you”? Customizing elements of your ceremony and/or reception can help to create an event that will be memorable and special for you, your spouse, and your guests. A “custom” wedding may sound a bit daunting, but it need not be. Be authentic. Choose customizations that truly reflect the two of you and the type of wedding you want to have. For example, don’t plan an intricate, choreographed dance if you are both introverts who shun the spotlight. Don’t feel obligated to change long-standing traditions that you like. If you prefer traditional wedding vows to writing your own, by all means don’t change them. “Customization doesn’t mean trendy,” Blake says. “It means making your wedding feel like a true representation of who you both are individually and together.” Be inclusive. Like Blake says: “individually AND together.” Don’t forget to represent the bride AND the groom. Think about serving a unique groom’s cake depicting his favorite sports team or hobby. Each of you could choose a signature cocktail to serve during the cocktail hour. Make an entrance as a couple to a song that evokes a good memory for you both. Be cohesive. “Customizations work best if there are a few small touches incorporated throughout your wedding day or if there’s one large theme carried throughout,” Blake says. This piece of advice is a great one to consider at the very beginning of the wedding planning process. If you feel passionately about one special customization, it can serve as inspiration for the rest of your event. One couple we spoke to took inspiration from the time of year their wedding was being held Christmastime - and used it to add quaint personal touches to their big day, including tables identified with names of Christmas movies instead of numbers, florals with cranberries and pine branches, and a Christmas cookie bar. Be considerate. Sure, your wedding is YOUR big day, but keeping your guests in mind when planning special elements can go a long way toward setting your event apart. For example, providing amenities like flip-flops, sunscreen, bug spray, blankets, or umbrellas for an outdoor wedding conveys a level of thoughtfulness guests will be sure to notice. considering customizations for your event, think about things that you love - hobbies, memories, passions,” Blake says. “Whether it’s serving wine from the area [where] you were engaged, playing nontraditional ceremony music (like your college fight song), giving each guest a coffee mug to share your love for joe, or serving cannolis instead of cake as a token of your heritage, these are the things you’ll look back on years from now in your photos, and they’ll still have true meaning for you.” Perhaps you are a DIY couple who wants to create your own centerpieces, photo booth props, games, etc. Maybe you want to honor a deceased loved one in a significant way. Perhaps you want to create the ultimate “fandom” wedding. It’s all possible. “If you’re truly seeking an offbeat wedding, be sure to find vendors that embrace [that]. Also, don’t be afraid to think outside the box. You can find pretty much anything online, and there are great sellers on sites like Etsy who can create anything that you can dream of,” Blake says. We have so much more than lace! Service and fitting at your home or office. Free pick-up and delivery! Guaranteed high quality tailoring & perfect fit of your garments. Custom made Bridal, Bridesmaids and Mother of the Bride Gowns and alterations on all kinds of garments. MAKING A DESTINATION WEDDING A REALITY Destination weddings can make for memorable moments for brides, grooms, and their family and friends. While the celebrations often take place in idyllic locales that make for a gorgeous backdrop to the celebration of the happy couple, setting the perfect ambiance for such a noteworthy occasion without breaking the bank can be tricky. Destination weddings ask a lot of both the couple and their guests. Couples may need to visit the location of their wedding several times before the big day, and those costs can quickly add up. Guests will also need to budget for flights and lodging to attend a destination wedding. However, there are some ways for couples to rein in the associated costs to ensure that everyone has a good time without having to worry about finances as soon as the big day is over. priced flight rather than choosing the location based on the cost of the wedding package. members and friends to the wedding and reception and then host a second, less-formal party for your remaining relatives and friends after returning from your honeymoon. Guests will understand, and you will ultimately get the chance to celebrate with all of your loved ones anyway. Wedding bells? Give me a ring. Much like there is a peak wedding season throughout North America, many popular travel spots' economies depend heavily on tourism seasons. Avoid that season when choosing a date for your destination wedding and you’ll also avoid the higher costs that are associated with the more popular tourist times. Many traditional weddings include all the bells and whistles, like lavish flowers and elaborate gowns. Destination weddings are often expected to be simplified, particularly if the festivities are at an island location. Let nature do the decorating and opt for native wedding attire if it’s more affordable than potentially costly gowns and tuxedos. I can help. Newly married? Make sure your new life together – your car, your home and your future – are protected. GIVE ME A CALL TODAY. that to their advantage when negotiating prices. Couples may even be able to negotiate with airlines for discounted airfares if they can guarantee a certain number of travelers. When planning your wedding, embrace the culture of your chosen destination and choose local foods, flowers, and entertainment. Not only will it make your big day more unique and authentic, but it will also save you money and benefit the local economy at the same time. wedding packages. If no such service is included in the hotel package, consider hiring a local wedding planner to make the process go more smoothly. Destination weddings can be significant undertakings, but if couples are armed with the proper knowledge and preparation, the bride and groom can enjoy the wedding event of a lifetime and create memories that will last forever. When Ben and Andrea Singer of Lancaster decided to plan their dream wedding, they knew that it would involve travel for their family and friends. “Our family is spread out across the country,” Andrea explained. “Regardless of what we did, half of our family would have to travel.” The couple began planning a lavish autumn wedding in their local area, but they soon decided it wasn’t going to live up to their hopes for the big day. “We realized we needed to refocus and bring things back to what mattered to us,” the couple shared. “We were planning a wedding for other people, rather than a wedding that would make us happy.” With their newfound focus, the couple zeroed in on a destination wedding in a location that was special to both of them: the Rocky Mountains. “Andrea spent her childhood vacationing at the YMCA of the Rockies, and as adults, we have shared this place together. When we decided to go with a destination wedding, it was a logical choice for us, given its significance and our great love of the outdoors,” Ben said. “It seemed like a wonderful idea to bring our families together in a place with so many fond memories for the two of us, and it gave us an opportunity to share this place with the people we love.” In the week leading up to the wedding, the couple rented a 32-person cabin where their families could spend time and get to know each other. “It was a surprisingly drama-free week that culminated in our wedding,” Andrea recalled. 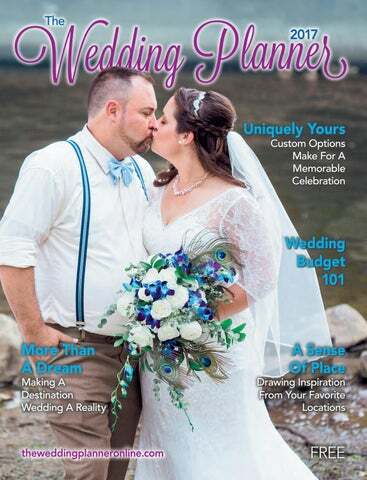 “There were certainly a lot of ‘what-ifs’ leading up to the wedding, but the YMCA of the Rockies did an amazing job of making our wedding work,” noted Ben. The Singers were thrilled with their Rocky Mountain wedding, and they have a few tips for other couples who are interested in saying “I do” in a special, far-away locale. “Destination weddings can be tricky because you may not even see your wedding venue until (the big day),” Andrea noted. “Plan how you want things to go way ahead of time so that there are fewer surprises when you get down to the wire.” Ben and Andrea also recommend that couples decide what they are willing to sacrifice, noting that not all of their close friends and family were able to make the big day. “For some, that may be a sacrifice they are not willing to make. Even something as small as trying wedding cakes or catering options will be something you may miss out on,” Ben said. However, for each sacrifice, there is the reward of lifelong memories. “Destination weddings replace some of the sacrifices with memories you simply can’t make elsewhere,” Andrea pointed out. One glimpse of the Singers’ incredible wedding photos with breathtaking mountain views in the background, and there’s no doubt that the couple made a great decision. still the first wedding for them as a couple, and it should be seen as special. It is easy for men and women marrying for a second time to be hard on themselves, especially when thinking about the gifts that were given and the money spent by guests for the first marriage. But a new relationship and love is worthy of a good party. Friends and family who are supportive of the bride and groom should not have reservations about helping them celebrate. · Do not feel boxed in by old-school etiquette. Rules have relaxed with regard to weddings. Many couples put their personal imprints on their weddings and do not feel the need to conform to traditional expectations. Couples should do what feels comfortable to them. · Let past experience serve as a guide. Couples can use their previous wedding experiences to their advantage. It is likely the bride- and groom-to-be remember what worked for their weddings the first time around and which things they would have done differently or omitted. In planning their second weddings, they can change these elements. · Wear what you want. Let the formality of the event and the time of day of the ceremony determine the wedding attire. It is acceptable for the bride to wear white again if she so desires. Also this time around, couples may have a better sense of what makes them look good, so they can opt for clothing that best flatters them. · Above all, have fun. Couples know what to expect the second time around, which may result in less stress stemming from the unknown. Being able to relax will make the wedding more fun. bride’s hometown: Lancaster, PA groom’s hometown: New Castle, PA current place of residence: Mount Joy, PA bride’s occupation: contact center specialist groom’s occupation: yard jockey how they met: Emily and Chris were first introduced by mutual friends at a Halloween costume party. “We were two of the only attendees not in costume and later found out that we both worked part-time at the same bar,” recalls Emily. proposal story: While sightseeing on a family vacation in Muncy Valley, Sullivan County, Chris professed his love and devotion atop High Knob Overlook in the Endless Mountain Range, knelt down, and popped the question. “Shut up!” was Emily’s response. Chris waited a few moments and asked, “Well, will you?” and Emily, of course, finally said, “Yes!” length of engagement: 13 months honeymoon destination: Rather than taking a traditional honeymoon, the couple treated Chris’ mother, who was visiting from Montana, and Chris’ son to a week in Ocean City, MD. The Wedding Planner: What was the first thing you did when you began to plan your wedding? What inspired you to start there? Emily: We started by researching venues and catering. These two are the most costly and take the most room in the budget. it definitely proved to be worth it when the big day arrived. The bridesmaids chose their own style to reflect their personality with comfort in mind! The groomsmen matched the groom except for the bowtie, so the groom would stand out. meaningful and the reception fun. The celebrant and the disc jockey played a huge role in helping make that happen. Chris was most interested in the food and beverage choices, so he approved the menu! obligations to meet with potential vendors. Itâ&#x20AC;&#x2122;s more timeconsuming than we ever realized! keep an open mind and remember to toast often to your engagement! 717-354-2565 www.yoderscountrymarket.com restaurant@yoderscountrymarket.com Featuring Custom Menu Selections. Offering Buffet, Platter Or Family Style Seating From 30 To 800 Guests. Beautifully Decorated Rooms. Efficient Staff Dedicated To Providing Excellent Service. Easily Located On Rt. 23. Plenty Of Parking Available. * Contact Our Banquet Coordinator For Full Details. Mention this ad and receive $ 25 OFF purchase of $100 or more. Now thru 12-31-17 Not valid for repairs or previous layaways. Cannot be combined w/other offers. From the grandeur of the hotel’s 3-story atrium Courtyard to the beautiful Crystal Ballroom, you’ll be guaranteed to make memories that last a lifetime. Voted Lancaster’s Favorite Banquet Facility... Again & Again! 222 Eden Road, Lancaster, PA Contact: Merle Peduto • 717-560-8428 • mpeduto@EdenResort.com EdenResort.com/weddings Photos. Virtual Tours. Menus. wedding date: February 20, 2016 ceremony location: St. Paul's United Methodist Church in Red Lion, PA reception location: The Hotel Hershey in Hershey, PA wedding colors: light pinks, peach, black and white stripes, and gold glitter wedding theme: romantic and classy the menu: buffet featuring chicken, cocoa-marinated beef, mashed potatoes, mixed vegetables, a salad bar, different kinds of cheeses, the groom’s mother’s famous punch, Hershey’s peanut butter chocolate pie, assorted macaroons and petit fours, and a hot chocolate and coffee bar wedding cake: lemon cake with raspberry filling and buttercream icing. Each tier was a different design and color: The bottom two layers were different shades of pink to match the bridesmaids’ dresses, the third layer had a black and white striped design, and the top was a gold dusted layer with a “To the Moon and Back” cake topper. “Evan and I would say that phrase all throughout our relationship and engagement, and we incorporated that design element throughout our wedding,” explains Paige. flowers: pink cabbage roses, baby’s breath, lily of the valley, stephanotis, and white orchids first dance song: “Come What May” from the movie “Moulin Rouge” sung by Mr. Brennan and Mandi Bell, friends of the groom favorite element of the reception: a tie between the choreographed mashup father/daughter dance featuring “What A Wonderful World,” “The Twist,” “Stayin’ Alive,” “Billy Jean,” and “Shake It Off” and the beautifully designed sweetheart table favors: a Hershey’s candy bar, as well as a doughnut from Dunkin Donuts in Hershey in honor of where Evan and Paige had their first date and got engaged one thing worth splurging on: music. “We wanted to make sure we had a live jazz band that could play music that would capture the feel of our wedding as well as express our taste in music,” says Paige. advice for other brides and grooms planning a wedding: Make sure you take time to take a break from all the planning and invest in your significant other. to book The Hotel Hershey for my reception venue. Ever since I was a little girl, I dreamed of having my reception at The Hotel Hershey, where my family would go every year for Christmas brunch. It was a dream come true to be able to have it there! I have been in several weddings, so I knew that organization is key! That being said, I knew that I could not plan a long-distance wedding on my own, since I was in Philadelphia and the wedding was in Hershey, so my mother and I decided to invest in a top-notch wedding planner, Susan Moran from That’s It! 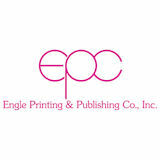 Wedding Concepts LLC, who pulled off the wedding of my dreams and kept everything and everyone organized. TWP: How did you select the bride’s dress, the groom’s attire and the outfits of the members of the wedding party? Paige: I found my dream dress at POSH Bridal in Lancaster, PA.
incorporated into every part of our wedding was our relationship with Jesus. From the choice of music for the ceremony to the groomsmen’s and bridesmaids’ speeches, we wanted everyone to know that we love each other and that we love the Lord. One special element I wanted in the ceremony was a time of prayer where both families and any pastors who were attending would come up and pray over our marriage. The Rev. Delbert Bieber, who married my parents, led the family and pastoral prayer during the ceremony. Also, Evan’s pastor, the Rev. Dr. Bayse Reedy, and my pastor, the Rev. William Russell, both co-officiated the service and married us. These three men have a very special place in my heart, and they were an integral part of making our wedding day so special. Need a Hall for Your Special Event? ★ Receptions ★ Family Reunions ★ Class Reunions ★ Business Meetings ★ & More! 6287+&+$5/277(670$1+(,03$ EVENTS: â&#x20AC;¢ We provide beverage setups with CO2 and cold-plate box which insures the event runs smoothly, OR case beer can be iced-up and delivered. â&#x20AC;¢ We donâ&#x20AC;&#x2122;t supply nor can we supply bartender service. Contact Tom Or Garrett For Setup Information At (717) 665-2233 We Have Over 42 Years Of Experience! TENTS FOR ‘YOU’ The Leader for Wedding Tents in Central PA for over 30 years! how many guests we would be asking to the wedding. This gave us a concrete idea of what venues we could look at and also what questions to ask the venues when we visited based upon the number of guests we would potentially be having. That helped narrow our venue search and provide clarity. unique and different on the bottom of my dress. When we went looking, I asked several consultants to show me dresses that would fit this qualification. I went to two dress shops and ended up at Lilla’s. The dress I chose was the very first dress they put me in at Lilla’s! I started to cry when I had it on, and my family was teary too! We wanted something classic and timeless for the boys. We selected Jos. A. Bank because of their quality and also their ability to connect with our groomsmen who lived various places in the United States. We chose black suits with white shirts and black ties, because it complemented the girls’ dresses very well. I wanted unique and different bridesmaids’ dresses that you wouldn’t traditionally see. We went to two shops in Hershey and Lancaster and ended up back in York at David’s Bridal, where we found the gold sequin dress that I was in love with. I saw it online and at other stores and it was too pricey, but David’s had the look and price just right! with all of your vendors and information on it to provide you with easy access in one place for all parties involved to be able to see. Plan ahead! It’s a wonderful thing not feeling stressed two months before your wedding because everything was all taken care of and booked early. No Wedding or Event is Too Big or Too Small for Us! • Guest Book Stands and more! location and venue. We chose Lancaster because it was a central location for guests since most guests had to travel either from out of state or from other areas in Pennsylvania. Plus, Lancaster is a special place for both of us: Michael grew up in Lancaster, and I went to college in Lancaster at Millersville University. We knew the venue would help us decide our wedding theme and colors. Once the venue was selected, it was very easy to move forward with the selection process for other aspects of our wedding, including the attire for Mike and the groomsmen, the wedding dress, the bridesmaids’ dresses, the decorations and centerpieces, the flowers, etc. our wedding venue, we knew a more rustic theme utilizing burlap and lace would be a perfect fit for us. Pinterest was an amazing research tool that helped us select color schemes and attire for the members of the wedding party. We decided to integrate lace with the wedding dress and the bridesmaids’ dresses. We also wanted to use neutral colors like navy for the bridesmaids’ dresses and gray for the groom and groomsmen’s suits and accent with pinks, corals, and white. These colors complemented the burlap and lace well. incorporating our personalities and tastes was pretty easy. We both liked the rustic look and wanted to find ways to integrate family and friends in our wedding day. For example, we had special rustic signs made for guests to guide them to their seat as well as for the sparkler send-off at the end of reception. Mike and I also each used a rustic picture frame to create a collage of family pictures. An anniversary dance was used to celebrate the numerous married couples instead of having a bouquet/garter toss. And the sparkler send-off was a fun way to celebrate the end of the reception with family and friends together. was getting the RSVP responses back from each guest. Thankfully, we set the RSVP date a month prior to the venue needing final numbers. That gave us enough time to contact our guests and determine if they were able to attend and ensure they would receive the plated entrée of their choice. organized by saving important documents/receipts in a folder or electronically. Also, don’t sweat the small stuff! As you’re planning your wedding, enjoy each moment with family and friends. And just take a moment to look around on your wedding day and soak up all of the love and laughter surrounding you. R ED L ION B US , I NC . For a Day to Remember! Affordable, safe, comfortable and reliable transportation to and from your wedding day events for your wedding party and guests. Let the Red Lion Team take care of your transportation needs... Call us for a quote designed just for you. Let us handle the ride. kind of wedding we wanted, and we began looking at venues based off that. Once we saw the Lauxmont Farms Rotunda, we knew it would be the perfect place for an afternoon brunch wedding, and we began planning based off the space. lovers, so an afternoon book and brunch wedding was very “us.” Ryan is obsessed with Maple Donuts, so he suggested using them in place of cake, and it fit into the brunch perfectly. Once I knew those things, I was able to make the rest of the wedding fit in as well. etc.) out of the way early on. Then you only have the fun details left as you get closer to the wedding! Be sweet to your guests. Artisan truffles perfectly packaged for your shower, engagement party and wedding day. Dozens of delicious flavors to please every palate! Call us for a FREE Consultation 717-464-3374 Willow Street, PA www.hessbbq.com We Will Help Make Your Wedding All You Wish It To Be! Our Trained Staff Will Ensure Your Wedding Meal is a Complete Success! “destination” home. There are plenty of ways for a wedding celebration to incorporate inspiration drawn from a faraway place, whether it’s a favorite vacation spot, the location of the planned honeymoon trip, or simply somewhere the couple dreams of visiting. Here are a few examples of how brides and grooms can translate a sense of place into the decorations, attire, cuisine, entertainment, and other elements of their special day. Hawaii A wedding that draws inspiration from the Hawaiian Islands’ legendary beaches, lush vegetation, and well-known tiki culture will offer a fun, comfortable vibe. Flowers - Select tropical flowers such as orchids, birds of paradise, or hibiscus for the bouquets of the bride and bridesmaids. Skipping the bouquets and having each member of the wedding party wear a floral lei would also be particularly appropriate, since leis are traditionally given in Hawaii in honor of important events – including weddings. Decorations - For centerpieces, opt for tropical flowers or potted mini palm trees or embrace island kitsch and decorate tables with vintage hula dancer dashboard dolls. Turn a surfboard into a functional decoration by affixing photos or table assignments to it like a bulletin board. Or, make a surfboard into an innovative guest book alternative by inviting guests to write their warm wishes for the couple directly onto the board with a permanent marker. If your wedding is outdoors, play up the tropical ambiance by ringing the space with tiki torches. Food and beverages - One sip of a mai tai will transport attendees straight to the Aloha State. Guava and pineapple juice make for tasty nonalcoholic options. A pig roast will play up the luau feel of the reception, and pineapples, mangoes, papayas, and other tropical fruit can be incorporated into the menu. Coconut and Kona coffee flavors will also make guests feel like they’re dining in a tropical paradise. For dessert, opt for pineapple upsidedown cake or white chocolate macadamia nut cake. Another option would be eschewing the cake in favor of a Hawaiian shave ice stand, where guests can enjoy an icy treat with their choice of tropical flavors. Mexico A festive fiesta with Mexican-inspired details will ensure that members of the wedding party and guests have a great time while celebrating the happy couple. Decorations - Cheery fiesta décor will set the stage for the celebration. Beautiful picado tissue paper banners can be liberally strung around the reception space, and colorful folk art pieces can be incorporated into centerpieces. In honor of Mexico’s strong tradition of observing Day of the Dead, couples may even consider honoring the dearly departed members of their families through a traditional Dia de los Muertos altar, complete with photos, flowers, and food offerings. Food and beverages - The popular cuisine of Mexico provides couples with numerous options for wedding day fare. Set up a taco bar where guests can create their own tacos from a choice of beef, chicken, or beans, as well as a variety of toppings. Or hire a food truck that serves tacos and other Mexican-style food items to be on-site. For beverages, offer guests margaritas and Mexican brands of beer. Consider providing a dessert buffet offering tres leches cake, churros with chocolate sauce, and - of course - Mexican wedding cookies. Entertainment - Couples can hire a real mariachi band to play at the reception. Guests will love dancing to mariachi standards, as well as a modern love song or two performed mariachi-style. Piñatas make for another fun form of reception entertainment. Since piñatas are available in a variety of styles and colors, couples can go with classic shiny star-shaped orbs or find a piñata that showcases their love of a particular sport or animal. Allow the children in attendance to get the first whack before letting the adults join in the fun. The bride and groom can even give guests a mini piñata as a wedding favor. Couples can play up the beauty of a winter wedding and give themselves and their guests a mountaintop experience by embracing a Swiss Alps theme. Attire - To help the bride’s and bridesmaids’ dresses to stand up to the winter chill, top them with a faux fur or knit wraps. Stylish coats or sporty parkas will also keep wedding party members toasty and warm in chilly weather. If you’ll be taking photos outdoors, outfit the members of your wedding party in matching scarves and mittens to ward off winter chills. Decorations - Deck out your reception venue to look like a posh Alpine ski chalet by incorporating cozy, rustic elements. A fireplace with a crackling fire will set the ambiance, and vintage snow sports gear such as skis, snowshoes, toboggans, and ice skates can be used as decorations. Add a sense of warmth to the room by using woolen blankets instead of tablecloths or runners. Purchased or DIY snow globes featuring winter scenes make for charming centerpieces. Other decorative ideas include displaying a collection of Swiss cowbells or even an authentic alphorn. Food and beverages - Whether as the main meal or an appetizer, you can’t go wrong with classic cheese fondue. Consider offering the Berner platte (the Bernese platter), a regional specialty that consists of an assortment of meats and sausages, along with juniper-flavored sauerkraut, potatoes, and dried beans. A main course could be Alplermagronen, or “herdsman’s macaroni,” made from cheese, potatoes, onions, macaroni, milk or cream, and apples. Help revelers stay cozy and warm by offering mulled wine and hot chocolate. Speaking of chocolate, the Swiss are known for theirs, so be sure to play up that ingredient when dessert time arrives by serving Swiss chocolate mousse in addition to an array of decadent pastries. A wedding favor that sends guests home with a few pieces of Swiss chocolate is also sure to be popular. Japan Borrowing from Japanâ&#x20AC;&#x2122;s ancient traditions will create a truly lovely and elegant fĂŞte. Attire - The bride and bridesmaids can incorporate the Japanese theme into pre-wedding preparations by donning kimono-style robes featuring bright, floral patterns while styling their hair and makeup. Kimono-style design elements and silk accents can be incorporated into the wedding attire, as well. Decorations - Go heavy on the cherry blossoms, incorporating them into the bridal bouquets and reception centerpieces. Scores of paper cranes made with beautiful paper also make for charming decorations, whether sitting on tables or strung up and hung in garland form. Paper lanterns, Japanese-style fans, and oil-paper umbrellas can also be used as decorative elements, and miniature versions can make a unique and memorable wedding favor for guests. Food and beverages - The traditional Japanese tea ceremony is highly revered in Japanese culture, so providing guests with a selection of teas (hot or iced) is a natural choice. So too is serving sushi, though be sure to include rolls featuring all-cooked ingredients or separate Japanese noodle dishes for guests with less adventurous palates. A Kobe beef dish is another option for those who dislike sushi. Other popular Japanese imports that can be served include sake cocktails and mochi, daifuku, and other sweets. We specialize in helping brides & bridal parties get picture-perfect for the big day. Let us handle your bridal needs from head to toe. Full salon/spa services with food & drinks available. Come have fun and celebrate! Allow us to specialize in you. Beauty for the Bride & Her Party Girls! BUDGET Couples engaged to be married have a lot on their plates as they begin planning their weddings. Whereas tradition once held that the parents of the bride paid for a couple's wedding, nowadays more and more engaged couples are completely or partially financing their own nuptials. That means prospective brides and grooms must develop wedding budgets that will ensure their first act as Mr. and Mrs. is not paying down debt. In its 2015 Real Weddings Study, online bridal resource The Knot found that many couples still receive substantial financial support from their parents to pay for their weddings. The survey found that, on average, the bride's parents contributed 44 percent of the overall wedding budget in 2015, while the couple financed 43 percent. The remaining 13 percent was financed by the groom's parents and additional sources. Couples who hope to follow that formula or pay for their weddings on their own can heed the following tips to build wedding budgets that will not break the bank but will still ensure a day to remember forever. vestigation to determine about how much to expect to pay the vendors that provide photography, cake, music, and other services. Don’t forget to budget for tax and gratuities. gets, couples must remember to include a little extra for unforeseen costs. Building such costs into the initial budget will make these unforeseen circumstances easier to handle. After you say “I do.” Give your wedding gown a treatment that can make it last a lifetime. Our heirloom cleaning process captures and preserves the original beauty of your wedding gown. After cleaning, your gown is specially boxed for safe keeping. Elizabethtown 35 West High St.
ples justify runaway wedding budgets by telling themselves that they will ultimately get the money back in the form of wedding gifts. While many guests will give financial gifts, counting on such windfalls is a recipe for accruing debt. Do not build potential wedding gifts into a wedding budget. Couples that do so could be facing considerable debt upon returning home from their honeymoons. nary guest list can give couples an idea of how large and expensive their weddings will be. According to the Real Weddings Study, the average cost per wedding guest in 2015 was $237. While that cost can vary greatly depending on geography and other factors, couples should keep that figure in mind when drafting their guest lists. If need be, keep costs down by trimming the guest list so it includes only close family members and friends. get married will have a great impact on how much money they will spend on their weddings. For example, the Real Weddings Study found that, in 2015, the average wedding in Manhattan cost couples slightly more than $82,000, while the average Alaskan wedding cost just over $17,000. Even within the same city, venues can vary greatly with regard to pricing and offerings, so couples should give themselves ample time to gather quotes and find an affordable venue they like. honest discussionand examination of each person's finances is the only way to develop a realistic wedding budget that both partners can live with. Once couples know what they can contribute, they can consult their parents to determine if their families intend to contribute. We Also Specialize in Mother’s Dresses, Bridesmaid and Special Occasion. �!en.Rock :fflill 3Jnn Where Great Food & Friends Come Togetherfor Over 175 �an. Nestled in the rocks along the Northern Central Railroad line, the historic Glen Rock Mill Inn and neighboring Ruins Park, the repurposed remains of a former furniture facrory warehouse, rogether create a unique and non-traditional venue for a truly memorable wedding celebration. Available to any 2017 wedding group. Discount applied at me of order. Not applicable with other offers. Not Valid with-in 14 days of use. you trust to deliver a memorable event? Many brides walk down the aisle in white gowns, which have long been considered the most traditional choice. Wearing white can be a frightening prospect to some brides, who fear that white clearly shows every blemish or stain. Protecting a white dress so it looks pristine on the wedding day takes a little effort, but such efforts are well worth it. When trying on gowns, brides-tobe should make sure their hands are clean and they are not wearing any makeup. They may want to wear a thin pair of gloves so any oils from their hands are not transferred to the gown. Anyone who helps the bride-to-be in and out of the gown should also make sure their hands are clean or covered. The bride-to-be should try on the gown sparingly before the wedding, ideally only for fittings. When she is not trying on the gown, she should store it in a protective garment bag until it needs to be steamed just prior to the wedding. Some seamstresses or tailors will hold onto the gown until the final alterations are done and then steam out any wrinkles prior to delivery. lipstick application their last step in getting ready, as bright lipstick on a white gown can be especially difficult to conceal. Pack an emergency stain-fighting kit to bring along to the ceremony and reception. This way, should a minor stain occur, it can be treated right away. The bride should use the kit sparingly because she may not know exactly how a cleaning product will react with the gown's fabric, and overuse may make the stain worse. If possible, test the product on a small swatch of gown fabric prior to use. Use caution when removing the gown, and then promptly repackage it into its garment bag. After the wedding, take the gown to a professional dry cleaner to have it cleaned and preserved. Then the gown can be used by future generations or simply saved as a keepsake. professional shave with a straight razor at a barber shop. A hot shave from a professional will produce a close shave with the least amount of irritation when done correctly. Hands Grooms also may want to book a manicure. Keep in mind that salons will do men's nonpolish manicures and pedicures, and they can be well worth the investment. Photos of entwined hands or close-ups of the ring exchange will have guests zeroing in on the coupleâ&#x20AC;&#x2122;s fingers. Grooms-tobe should make sure their hands look their best by having clean, shaped fingernails and trimmed cuticles. Weddings are a chance for couples tying the knot to be the center of attention. All eyes will be glued to the bride and groom on this special day, so it is important that they look their best. The bride might garner most of the attention on a couple's wedding day, but the dashing groom also will get his share of the spotlight. As a result, gentlemen must be as diligent as their brides with regard to grooming and appearance on their wedding days. To look picture-perfect, grooms may want to include these tips in their wedding day preparation. off creativity, grooms-to-be should keep in mind that photos will last much longer than these trends, and it is often better to stick with a classic cut. A barber or stylist may suggest styles that best suit oneâ&#x20AC;&#x2122;s face shape and hair texture, though it is a good idea to test drive a different style well in advance of the big day. Above all, the haircut should be neat. Facility offers buffet, platter or family-style meals. avoid dry patches. Stores sell many moisturizers geared toward men's needs, often in unscented or more masculine fragrances. Drinking plenty of water can also help skin look its best. Hydrate well during the week leading up to the wedding for best results, and be careful not to over-indulge on alcohol at pre-wedding celebrations, especially the night before. Reducing shine is key for wedding day photos. Rely on face and hair products that will not add unnecessary sheen to the skin or hair, which could create a greasy appearance. Matte hair waxes and sprays will tame tresses. Also, gentlemen prone to oily skin may want to obtain a package of blotting tissues, which are absorbent sheets that will remove oil from the face and keep sheen to a minimum. Smile A groom-to-be should make sure his teeth have been thoroughly brushed and that he has used a minty mouthwash so he is ready for that first kiss. Many grooms also opt for whitening treatments prior to the wedding to have a dazzling smile. On his wedding day, a groom will likely be photographed more than any other time in his life. That means putting extra effort into personal grooming so he will look his best. Personal websites are an invaluable resource for couples planning their weddings. Wedding websites provide a great platform for couples to share all sorts of information regarding their big day, making them an essential element of modern-day wedding planning. Wedding websites need not feature all the bells and whistles of more permanent sites. Couples should be mindful to share certain information to ensure their guests stay in the know about the pending nuptials. Wedding websites can be used to inform guests about the couple getting married as well as the various participants, such as the bridesmaids and groomsmen. Extended families of the bride- and groom-to-be may not know much about their loved one's betrothed, and the wedding website can help guests get to know both people getting married. Include information about the bridal party as well. A brief story about each bridal party member's relationship to the bride and/or groom can be a great way to illustrate just how much each person in the party means to the couple tying the knot. the ceremony and reception venues if they will be held at separate locations), and include a maps feature if possible. Couples can save guests the trouble of returning RSVP cards by including an RSVP section on the wedding website. Establish an email address solely for RSVPs and check it regularly so you can update who is and who is not attending your wedding. Couples can save the expense of postage by requesting that guests RSVP exclusively through the website. Be sure to include that request with the invitations if you still plan to mail more traditional invites. guests can register under your party and receive discounted lodging. In addition to the hotels, include some extra information about other lodging options in the area. Out-of-town guests will appreciate having as many options as possible, and having that information provided saves guests the trouble of researching certain neighborhoods to determine if they are safe or close to the ceremony and reception sites. Wedding websites also provide a great way for couples to share registry information. Include links that take guests directly to your online registries. Wedding websites are a great resource for couples who want to share information about their weddings and guests who would like to share in the excitement. As the big day draws closer, couples can update their sites to reflect any new developments. information in one place so the bride- and groom-to-be do not have to search through folders or files for important documents. In addition, if friends or family members ask for advice when planning their own weddings in the future, the couple can look back at their inspiration board. To start building a board or book, the couple should accumulate clippings of photos or articles that resonate with them. As they visit bridal shops and other stores, they can take fabric swatches and pictures of particular looks. Couples may attend bridal shows and take home promotional materials. Remember, inspiration may not always come from wedding-related sources. Anything in daily life may provide ideas. Discover new ideas. Uncover the latest fashions and trends. Chat with local wedding professionals. Receive expert advice. Shop and compare. Explore your options. Make informed decisions. There are so many things to think about when planning a wedding. We have provided this handy checklist so you can stay on top of your to-do list and have your planning go as smoothly as possible. Everyone has a different vision, so this is just a starting point. Amp up or scale back as you see fit! TEA ROOM - Tues.-Sat. 9 A.M. - 4 P.M.; Sun. 12 Noon - 5 P.M. & Closed Mon. circumstances that are bound to arise in the months leading up to the wedding. Couples may consider trying the following strategies. Create separate filing systems for each aspect of the wedding. Do not let wedding planning be all-consuming. The bride- and groom-to-be should schedule days that they can enjoy together without having to think about or discuss their pending nuptials. Activities may include date nights that may have fallen by the wayside since getting engaged or periodic day trips to get away from it all. Explore mutual hobbies or try something new. parts of the wedding. Separate filing systems make it easier to find quotes and contracts when they are needed, saving couples the trouble of digging through pages upon pages of quotes, notes, and other information they had stored. Many couples plan weddings on carefully constructed budgets, but couples can easily exceed those budgets if they are not routinely monitoring and recording their spending or the spending they are committing to upon signing contracts with vendors. Couples should create spending spreadsheets that allow them to track how much they have already spent, how much they are committed to spending, and the due dates of various wedding-related bills. The couple should update the spreadsheet whenever they write a check or sign a new contract, and they should periodically examine the sheet so they can make sure they are still on track to remain at or under budget. Separate wedding planning duties so that both people feel they are contributing equally and neither becomes overly stressed. Stress can lead to short tempers and arguments. Hire a planner. It's never too soon to start planning certain aspects of your wedding, even if it seems like you have plenty of time before your big day. According to The Knot 2015 Real Weddings Study, the average length of engagement for couples who wed in 2015 was 14.5 months. That means today's couples have more than a year, on average, to plan their nuptials. By starting their wedding planning early, couples can avoid having to organize everything at the last minute, which can be hectic, nerve-wracking and sloppy. In addition, starting early affords couples more time to find great deals and stay within their budgets. If wedding planning is proving especially overwhelming or if the couple simply does not have time to do all the legwork necessary, they can hire a wedding planner. Wedding planners are invaluable resources who can help couples quickly connect with vendors who can meet their needs while staying within their budgets. Planners can advise couples on ways to save money, but also when to splurge. Couples planning destination weddings should inquire about resort-affiliated wedding planners before choosing a venue to host their ceremonies and/or guests. wedding venues often have backup venues in place, couples can take some additional steps to ensure a rainy day will not ruin the wedding. · Find a place to take photos. · Provide umbrellas. Some inclement weather may not be enough to deter couples or guests from braving the great outdoors. Couples getting married in the summer may be able to withstand a summer shower, but they should provide guests with umbrellas just to be safe. The umbrellas can be mementos of the event. case, couples may rent tents to serve as their safety nets. If a venue has no indoor alternatives, a tent should be considered and factored into the budget. ©2010 InterContinental Hotels Group. All rights reserved. Most hotels are independently owned and/or operated. Stay You.™ is a registered trademark of Six Continents Hotels, Inc.
· Insure the wedding. Couples who are hosting destination weddings on tropical isles should look into insuring their weddings. Such islands might be susceptible to harmful storms like hurricanes, which can prevent weddings from taking place. Insurance can cover couples for a host of unforeseen circumstances, including weather. · Establish a cutoff time. Depending on how remote the ceremony location is, couples might be able to wait until a few hours before their weddings to decide if they will still tie the knot outdoors. Make the call earlier if the wedding is to be held at an especially remote location. At the cutoff time, let guests know where the wedding will be. Include information about the cutoff time on the wedding website and/or invitations. Use a social media platform such as Facebook or Twitter to inform guests of the final decision. For your most important garments, don’t trust the job to anyone but the best. Have your gown fitted by our professional seamstress. We want you to be happy with the way you look on your special day. You can count on us for picture-perfect results. Satisfaction Guaranteed. Wedding Planner - A guide to help you plan your big day.